An estimated quarter of hemodialysis patients have peripheral artery disease (PAD), a figure that increases to one-in-three among those with diabetes. Dialysis patients may experience twice the occurrence of lower extremity complications than patients with diabetes and chronic kidney disease (CKD). Dialysis patients may be five times more at risk for developing foot ulcers. Other studies suggest the risk of diabetic foot infections, gangrene and amputation to be four times as high in dialysis patients, and that the median timing for amputations is just seven months following initiation of dialysis treatment. Pressure ulcers are also a known risk for older adults with limited mobility or cognitive impairment, particularly those who reside in long-term care facilities or rely on caregivers for positioning assistance. ESRD prevalence remains highest in the age groups of 65 to74 and more than 75 years. In light of these risks, an interdisciplinary approach to helping prevent skin breakdown and promoting wound healing can be an important factor in avoiding deterioration of health status and unplanned hospitalizations in renal patients. Among the tools at the disposal of the inter-disciplinary team, nutrition holds a key place in promoting tissue integrity and wound healing. Poor nutrition status and elevated glucose levels are linked with both wound development and impaired wound healing, underscoring the importance of diet in prevention and treatment planning. Protein is recognized as vital for growth and repair of tissues, and requirements are elevated for patients with ESRD. For patients on maintenance hemodialysis, guidelines recommend 1.2g/kg body weight per day with at least 50 percent coming from sources of high biological value. Recommendations for wound healing, particularly in the case of pressure ulcers, typically increase protein needs to 1.25-1.5g/kg body weight per day. For an 80kg individual, this translates to 100 to 120g protein per day. For older adults or patients struggling with other conditions, such as infection or gastrointestinal disturbances related to antibiotic treatments, consuming this amount of protein can be challenging or unrealistic. Protein supplements formulated for renal patients that supply concentrated protein without large doses of phosphorus and potassium are commonly recommended to bridge the gap. For patients with CKD stages 3 through 5, protein recommendations for wound healing can be less straightforward. Protein recommendations to help prevent progression of CKD have traditionally been set at lower levels, typically 0.6- 0.8g/kg body weight, though this may be inadequate to promote wound healing. In this situation, clinical judgement requires consideration of the patient’s treatment goals, imminence of ESRD and severity of wounds. In addition to protein, adequate caloric and micronutrient intake are important to support tissue integrity. Energy recommendations for individuals on dialysis range between 30 to 35kcal/kg body weight for those older than 60 years and 35 kcal/kg for those who are younger. This aligns with guidance for pressure ulcer prevention and treatment in patients at risk of malnutrition, which also suggests a range of 30 to 35kcal/kg body weight. While protein is often a focus in these patients, keeping sight on meeting caloric needs will help ensure increased dietary protein is able to be utilized for wound healing instead of as energy. Zinc is another known factor in wound healing. This essential trace element is removed by hemodialysis filtration, and research suggests that serum levels are low in 40 to 78 percent of dialysis patients. While vitamin C is often recommended to aid wound healing in general populations, excessive vitamin C is contraindicated in dialysis patients due to risk of oxalosis. Renal multivitamins contain an appropriate amount of vitamin C in addition to other important nutrients for patients with ESRD. Anemia that accompanies ESRD may also impede the ability of adequate oxygen and nutrients to reach the wound site. However, it is important to consider that studies have suggested excessive iron levels, which can occur in trying to treat anemia, may negatively affect wound healing. Assess patient post-hospitalization and as wound status evolves, including nutrition evaluation of malnutrition, protein-calorie intake and any barriers to adequate dietary intake. Work with patient, family and caregivers to liberalized diet and improve dietary intake whenever appropriate. Encourage oral nutrition supplements whenever intake appears inadequate to improve calorie and protein intake, particularly those formulated for dialysis patients. Evaluate patient level of glycemic control; provide ongoing education to patient and family regarding consistent carbohydrate diet and importance of adhering to diabetic monitoring and medications. Consider a renal multivitamin and/or additional micronutrient supplements, such as zinc, when deficiencies are confirmed or suspected. Monitor anemia management to ensure promotion of erythropoiesis without resulting in excessive ferritin levels. Facilitate and encourage patient attendance at wound care and endocrinology appointments whenever possible. With consistent education and support from dietitians and the care team, and dietary strategies that may positively affect wound healing, dialysis patients with lower extremity complications may experience an improved health status, reduced hospitalizations and, ultimately, a better quality of life. Samantha Raymond, RDN, has been a registered dietitian for nearly 10 years and worked in a wide range of nutrition specialties (including research, communications and long-term care) before focusing on renal nutrition. She is a self-proclaimed nerd and lover of nutrition science as well as health policy. 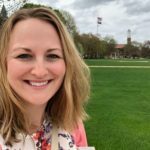 Samantha received her MPH through the University of Illinois and BS in dietetics through Purdue University. Great article Samantha thank you! Just wondering, if patients have difficulty getting a renal vitamin covered and require vitamin C, are there any brands you recommend? Also, do you recommend doctors check zinc levels in clinic or do you refer to primary care? Thank you, Wendy! I have found that patients often have out of pocket expenses for renal multivitamins, but believe that over-the-counter vitamin C brands may end up costing patients as much as copays for the renal multivitamin in many cases. I’d lean toward recommending the renal multivitamin in situations where the costs are comparable. Otherwise, I would consult the nephrologist to see if she preferred her patient use a specific brand. If the doctor doesn’t have a brand preference and is in agreement with the patient taking over-the-counter vitamin C, I would focus my recommendation on the dose and that it is not in combination with other ingredients, allowing the patient to select the most affordable brand available. Regarding zinc levels, I think this would fall under individual physician preference and clinic practices as well.